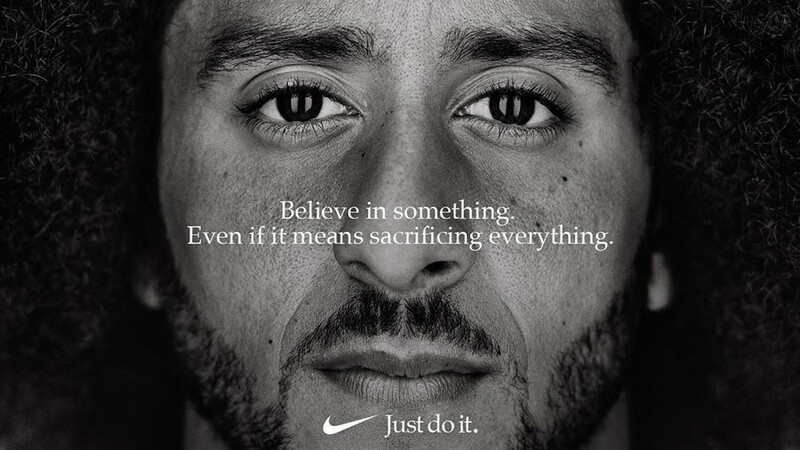 Despite Trump’s claim on Twitter that “Nike is getting absolutely killed with anger and boycotts” following its campaign with former NFL quarterback and activist Colin Kaepernick, the brand has actually seen a large boost to online sales. Though Nike experienced an initial slump in its stock value following the ridiculous protests of the #BoycottNike campaign spawned by the casting, the damage was short-lived; its value has since evened out and remains in the black for the month, as reported by MarketWatch. And, even better for the brand, its online sales were boosted by 31% from September 2 to September 4 (the campaign was unveiled September 3). Though conservative counter-protesters presumably thought they were going to “absolutely kill” Nike by burning and cutting up clothes they had already paid for, Aaron Goldman of 4C Insights tells MarketWatch that they were never likely to make too much impact, because they aren’t Nike’s target demographic. Plus, social media mentions of Nike rose 1,678% following the campaign, according to 4C’s data. By creating conversations about the brand all over the internet, the #BoycottNike brigade probably drove more traffic to its online store than if they had stayed silent.